bottom text: "On the coast of a distant land lies the castle town of Fortuna. It is here that the group known as the Order of the Sword practices a mysterious religion. 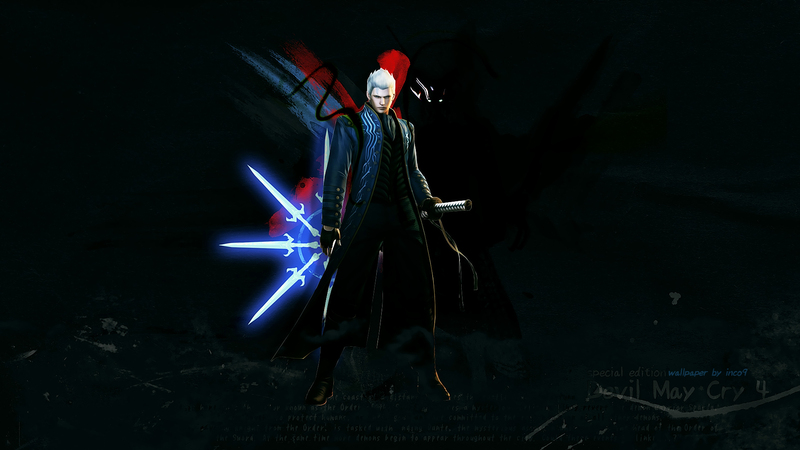 They revere the demon warrior Sparda, who fought to protect humans, as their god, and are committed to the extermination of all other demons. 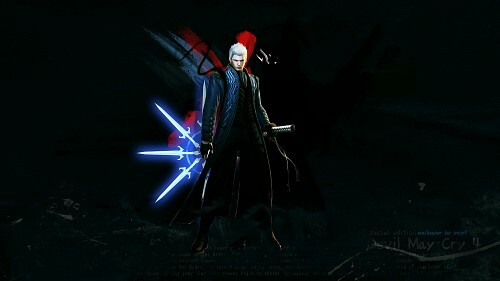 Nero, a young knight from the Order, is tasked with finding Dante, the mysterious assassin who murdered the head of the Order of the Sword. At the same time more demons begin to appear throughout the city. Could these events be linked...?"